She's the director of the Texas Regional U.S. Patent and Trademark Office. Because she’s heading up the first-ever patent office in the Southwest, responsible for increasing access for inventors, entrepreneurs, startups, and researchers to intellectual property resources and protections. Putting the office in Dallas was a coup for the region, now an important artery between the U.S. Patent and Trademark Office headquarters in Virginia. The office will help chip away at a reported backlog of more than half-a-million patent applications. The USPTO began opening regional branches in 2012, first in Detroit, then Denver (in 2014), and San Jose, Calif. (in 2015). The USPTO considered more than 50 metro areas to place the Southwest office and selected North Texas, praising its rich population of engineers and ever-expanding talent pool. Volume-wise, it makes sense. 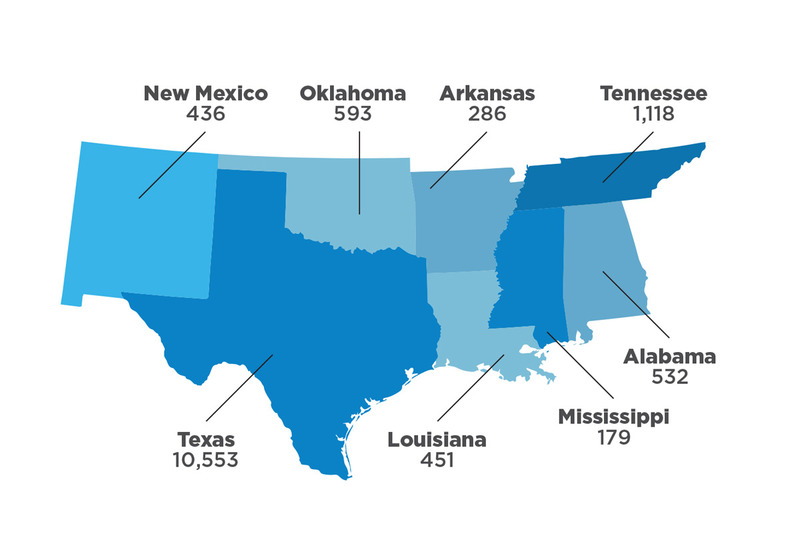 In 2015, Texas received more than 10,000 patent grants, second only to California—home, of course, to Silicon Valley. North Texas is booming, too. The region received 28,696 grants from 2000 to 2013, making it the No. 11 market in the country (and a hair more than Austin’s 28,257, which trails at No. 12). In terms of individual markets, however, nothing touches Silicon Valley’s 113,962 patents. There were many cities that were pining for this office, and the fact that it ended up in DFW is great kudos. The post is a dream job for Shimabuku. She has worked half of her two-decades-long career as an attorney in the intellectual property field, most recently as vice president and corporate counsel at Xerox Business Services. Prior to that, she put her mechanical engineering degree to work at Procter & Gamble and Dell Computer Corp. Growing up in Houston with NASA in her backyard, Shimabuku says she was heavily influenced by technology. Her dad is an engineer. Her mom worked as a NASA programmer. One of her priorities for the Texas patent office, which serves eight states across the south-central and southwestern U.S., is to reduce the national backlog and the time it takes to review and approve patents by adding a new qualified pool of examiners to review applications. All support staff and administrative patent judges should be in place by the end of the summer, with examiners onboard by the second quarter of 2017. The entering class of 25 examiners covers every tech area except for biomedical. With new classes graduating every four months, it’s likely there will be at least one biomed expert by the time the office is fully staffed. It will add to a national pool of about 9,000 examiners. All patent applications still are filed and initially processed in the USPTO’s Alexandria, Va., office and then assigned to examiners based on the specific unit, such as oil and gas. Examiners review the patent applications; judges hear and adjudicate appeals. Another benefit of being local: In the past, if Dallas companies like Texas Instruments (which received 6,734 patents from 2000 to 2013) wanted to give technology tutorials to USPTO examiners, they had to travel to Alexandria. “It’s beneficial that the Texas regional office is here because it gives corporations an opportunity for us to engage and interact and give feedback on patent quality and the process,” Shimabuku says. She spends a great deal of time in the community, educating small businesses and entrepreneurs about ways to protect their IP. She steers them toward available resources, such as pro bono programs. She also talks to schools, businesses, and the legal community about how to encourage STEM (science, technology, engineering, and math) education. When it comes to patents issued in 2015, Texas far surpassed the other seven states in the region served by Dallas’ new U.S. Patent and Trademark Office.